Because your dog deserves to eat what suits him best, Pure Life foodstuffs are perfectly adapted to his true nature, to guarantee his happiness each and every day. Because your cat deserves to eat what suits him best, Pure Life for cats food is perfectly adapted to his true nature, to guarantee his happiness each and every day. The Protect health/well-being line is composed of complete foods, especially designed to deal with frequent cat and dog health problems. Well-being food, optimally balanced, to perfectly meet the specific nutritional requirements of dogs and at every stage in their life. Well-being food, optimally balanced, to perfectly meet the specific nutritional requirements of cats and at every stage in their life. 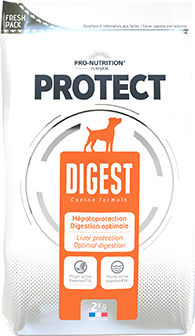 This Elite food line is composed of complete foods which respond perfectly to the specific nutritional requirements of dogs at every stage in their lives, and is reserved for use by breeders.